Pretty cool, right? And you can make one, too, with the help of these instructions. You’ll just need the usual stuff (a Raspberry Pi, microSD card, etc.) plus the Sense HAT. This project is extremely easy, and it’s a great introduction to the Sense HAT and the cool things that it can help your Pi do. All we’re going to do here is install Raspbian and, after checking to make sure we have the Sense HAT library, create a Python file based on the hard work of a GitHub user that goes by SteveAmor. Then we’ll just run that Python file and enjoy our new digital clock. Easy, right? Let’s get started. If you see a message that says “sense-hat is already the newest version,” you’re all set. Let’s move on. …with the following contents. This is long. Are you ready? Phew, got all of that? Your clock will keep right on running until you exit, which you can do with Ctrl+C. 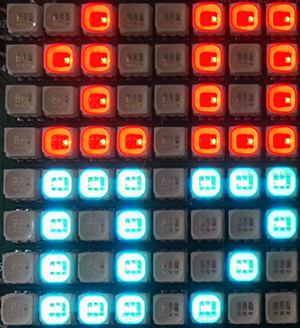 Yes, it’s really that easy: you have created your very own digital clock using the Raspberry Pi and the Sense HAT! Part of the reason that this project is so easy is that it relies heavily on GitHub user SteveAmor’s code. So a big thanks to SteveAmor, and please do check out SteveAmor’s original post over at GitHub. You can put your new digital clock anywhere, because it doesn’t require a monitor or a screen – it uses the Sense HAT’s LED matrix. In fact, you can do pretty much this whole project without a dedicated screen if you decide to SSH into your Raspberry Pi. This is a great project to use with a dedicated Pi and to combine with other simple home utility and smart home projects. And if you enjoyed this project and want to use your Sense HAT on other projects, good news – we’ve covered some fun Sense HAT DIY projects in the past. A similarly simple Sense HAT project will turn your Raspberry Pi into a smart home weather station that posts your home’s temperature, pressure, and humidity online so that you can keep tabs on it from anywhere. Click that link for the complete guide! 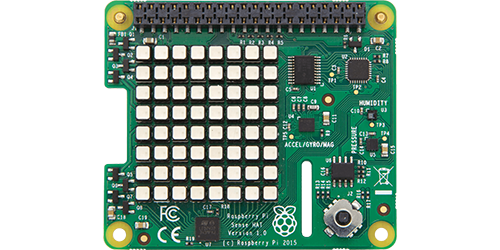 Interview with Eben Upton, CEO of Raspberry Pi (Trading) Ltd.
Be the first to comment on "How to create a Raspberry Pi digital clock using the Sense HAT"